Raipur: HIV-infected people in Chhattisgarh will now be able to avail the benefits of government schemes through a single window system. The states health department will soon introduce the single window scheme for HIV infected people seeking benefits of social security schemes, a health officer here told PTI. 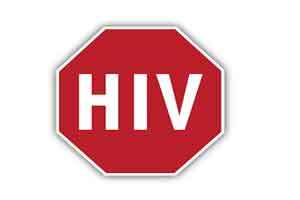 “States Health Director and Project Director, Chhattisgarh State AIDS Control Society (CGSACS) Ranu Sahu in a letter to all district collectors has asked to start the scheme in their respective districts which will prevent the HIV victims from visiting various offices seeking help,” he said. During a meeting of the department recently, it came to light that cent percent HIV infected people were not availing benefits of schemes due to various reasons including their hesitation to visit government offices following which it was decided to launch this system, he said. The scheme will benefit as many as 27,000 people infected with HIV in the state, he added. Under the scheme, the victims can submit their applications at any of these centres — Integrated Counselling and Testing Centres (ICTCs), ART (anti-retroviral therapy) centres, Targeted Intervention centres, link ART centres and state level networks designated by medical college and government hospitals of the state, the official said. District nodal officers will forward the applications to Chief Medical and Health Officers (CMHOs) after its examination and subsequently, it will be sent to collectors who will move it to the concerned departments for issuing certificates of entitlement for availing benefits under particular schemes, he said. The beneficiaries will receive their certificates back from the same channel, he said. The process will be entirely confidential so that identity of the beneficiaries could be protected, he added. Free passes for city buses, Antyodaya rice scheme, Noni (girl) Suraksha Yojna, Nutrition scheme, MNREGA are among the nine schemes for which they are entitled, he added.